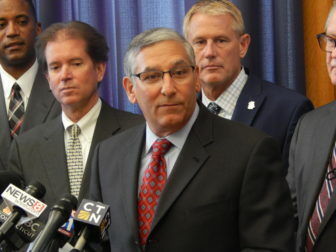 Senate Republican Leader Len Fasano, R-North Haven, is joined by other members of the Senate Republican caucus at a press conference Wednesday. Calling $1.5 billion in proposed union concessions insufficient given Connecticut’s $5 billion budget crisis, Senate Republicans called Wednesday for legislators and Gov. Dannel P. Malloy to dramatically reshape labor laws to force larger savings in wages and benefits. Senate Republican leader Len Fasano unveiled a plan to achieve nearly $2.2 billion in savings — with or without union consent. And triple all workers’ pension contributions in future years. The caucus proposal drew strong criticism from labor leaders, Malloy and the top Democrat in the Senate. But the Senate GOP also argued their plan would avert layoffs, preserve a very valuable benefits system at a much more affordable level, and make some benefits fairer, asking higher-paid employees to contribute more. And while Fasano acknowledged the plan would spark plenty of criticism, he also asserted it might draw more support from Democrats than some would believe. Concessions not enough given deficits, debt? State finances, unless adjusted, are projected to run $2.3 billion in deficit next fiscal year, and $2.8 billion in the red in 2018-19. The governor estimates the concessions deal would save $708 million in the first year and $845 million in the second. Fasano argued that only one-eighth of the concessions savings union leaders and Malloy recommended several weeks ago — less than $190 million — actually require unionized employees’ cooperation to achieve. Most of these involve pension and health care changes that would take effect immediately. But the bulk of the savings are tied to wages. And most union wage contracts expired in July 2016, though employees continue to work under the outgoing deal until a new contract is resolved. Because of that, though, the Senate GOP says state government has the legal flexibility now to dramatically alter rules unilaterally regarding wages and overtime. The plan quickly drew sharp criticism from labor leaders. 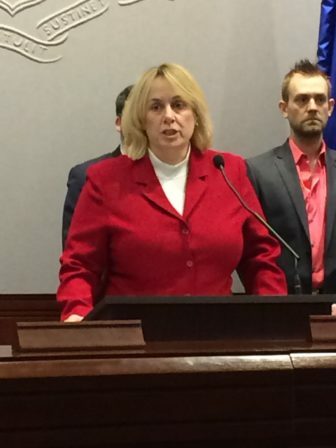 “This is about attacking workers, the middle class, people who drive Connecticut’s economic engine,” said Lori J. Pelletier, president of the state AFL-CIO. “Middle class workers could potentially save the state over $1.5 billion dollars through the SEBAC framework, and Republicans have yet to ask one penny from billion dollar corporations or our state’s most wealthy,” added SEIU 1199 spokeswoman Jennifer Schneider. Both Malloy and Senate President Pro Tem Martin M. Looney, D-New Haven, predicted the Senate Republican proposal doesn’t have much of a future. The governor challenged the proposal both on ethical and fiscal and grounds. 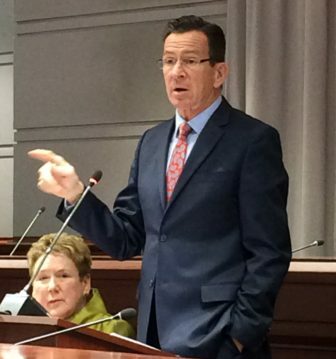 After spending close to six months bargaining with labor representatives on ways to save a projected $20 billion over the next two to three decades, Malloy said Connecticut should not, on principle, enforce an alternative plan legislatively. And curtail health care benefits for existing retirees. In return for these concessions, the state would extend its worker benefits contract — which otherwise would expire in 2022 — until 2027. Unions that grant wage concessions also would be largely exempt from layoffs through the 2021-22 fiscal year. The governor also argued the Senate GOP plan — and particularly the replacement of overtime with compensatory time — would not work logistically. For example, the governor said, allowing state police to take compensatory time would leave too few troopers on the job far too often. Similar problems would crop up in many other jobs across state government. Meanwhile, Looney predicted the Republican plan would never win legislative approval and charged Fasano’s caucus with offering an untenable proposal so it could leave the task of solving the budget deficit to Democrats. “This just confirms my fear that Republicans all of the while were looking for an excuse to bail” on budget talks. House Speaker Joe Aresimowicz, D-Berlin, predicted the his chamber also would not adopt the Senate GOP plan. But Senate Republicans did receive the backing Wednesday of the top Republican in the House. 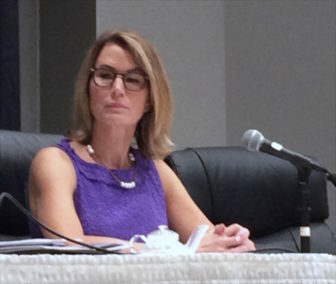 Minority Leader Themis Klarides of Derby, the first legislator to argue the concessions didn’t provide enough savings to warrant adding five years to a benefits program that already shifts huge costs onto future generations. Even with the concessions proposed by Malloy, the state still would not set aside enough funds annually to cover the retirement health care benefit promised to present-day workers. That means a significant share of those costs must be covered by future taxpayers.